Following their partnership for Glasstress 2015 Gotika, Fondazione Berengo was proud and honored to continue their relationship with the State Hermitage Museum to present Tony Cragg. Sculptures and Drawings. 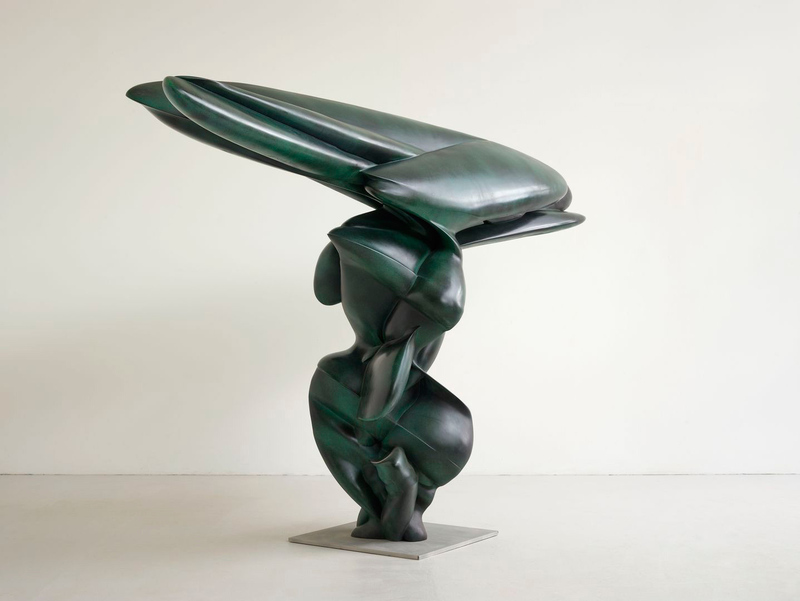 A longtime collaborator and friend of Fondazione Berengo and Berengo Studio, Tony Cragg (1949) is one of world’s foremost contemporary sculptors. Born in Liverpool, he moved to Wuppertal, Germany in 1977, where he currently lives and works. In 2007, he received the Praemium Imperiale for Sculpture, considered the Nobel Prize of art. Tony Cragg began rising as an artist in the 1970’s with a focus on minimalist and conceptual art as one of the protagonists of the sculpture renewal. His early works were monumental compositions often made of found objects. Later the artist turned to the exploration of form and surface, experimenting with miscellaneous materials ranging from the traditional wood, stone and metal to those less common in sculpture such as Kevlar, rubber, and plastic. Murano glass is the latest artistic discovery of Cragg in his long journey in the use of different materials, which he explores through its unique characteristics of transparency and “supposed fragility”. His sculptures are constant paradoxes of “formless forms”, in which each line is pure mental evocation; this is evident in his drawings also presented in the exhibition. While his works in bronze, wood and plaster seemingly defy gravity, his glass sculptures, created in living matter, challenge the brilliance and transparency of the expressive medium. The exhibition was specifically designed by the artist for the State Hermitage Museum and featured 55 sculptures and drawings from last two decades, including iconic Minster and Complete Omnivore as well as new glass works realized at Berengo Studio. An extensive educational program accompanied the exhibition, including a lecture by Tony Cragg, master classes and round tables. The exhibition was organized with the participation of the Fondazione Berengo, Italy, and with the support of Falconeri.